As nuclear tensions increase, dangerous times have raised legally-loaded questions about nuclear weapons. Should the U.S. violate or undermine the Iran nuclear deal? Does the president have unfettered power to launch a preemptive nuclear strike on North Korea? What's the legal status of the Trump administration's intention, telegraphed in the newly leaked Nuclear Posture Review, to expand U.S. nuclear capabilities and arsenals when the Nuclear Non-Proliferation Treaty supposedly commits us to cutting and eventually eliminating them? But there’s an even broader legal dilemma looming over production, testing and threatened use of nuclear weapons: how they affect the human rights of future generations. Those threats to the future are also compounded by nuclear energy, which generates radioactive waste we’re manifestly unable to control, and by destabilizing the climate that has enabled and sustained human civilization. Can such crimes against the future be legal? How can we respect the human rights of future generations in view of them? International symposia at the University of Basel (Switzerland), University of Caen (France) and Charles University in Prague (Czech Republic) recently grappled with those questions. The Basel conference produced a declaration on human rights and trans-generational crimes resulting from nuclear weapons and nuclear energy. Protecting future generations from the threat of nuclear weapons was an important consideration in the International Court of Justice’s 1996 affirmation that threat or use of nuclear weapons is generally illegal, given their long-term and indiscriminate impact. But despite the Court’s decision, most nuclear-armed states retain (illegal) policies to use nuclear weapons, including in a first, pre-emptive strike. In general, current law fails to safeguard the rights of future generations. But that doesn’t make failure defensible, sustainable or in accord with legal principles. Evolution of this area of law is necessary and inevitable. Some 2000 nuclear weapons were detonated for “testing” since 1945, releasing millions of curies of radiation. This impacted human health globally, and will continue to do so for generations. Most nuclear testing victims live in remote areas like the Pacific islands, the Kazakhstan steppe, or the North African Sahara. They have largely been forgotten; today’s younger generations are unaware of their sacrifice. Yet forgetting is perilous, because today’s youth will be tomorrow’s victims unless the cycle is broken. There are some legal efforts to break it. For example, the 2017 Treaty on the Prohibition of Nuclear Weapons obligates signatories to provide environmental remediation and assistance for nuclear testing victims. But the provision is unenforceable, because none of the nine nuclear weapons states signed the treaty. Like nuclear weapons, nuclear energy also poses enduring threats to human health. The Chernobyl explosion caused widespread contamination across the region and the whole European continent. High volumes of radiologically contaminated water from Fukushima continue to leak into the Pacific. These, too, are crimes against the future. Some lethal isotopes in nuclear waste have half-lives of thousands of years. Waste repositories will need to be guarded for unimaginable time periods, with associated financial, logistical and security implications for future societies, an enormous burden we leave to our descendants. 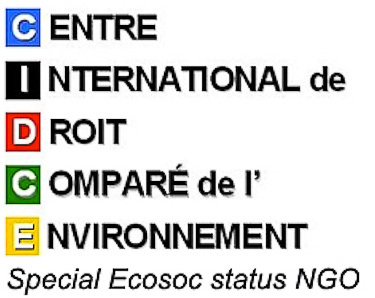 Like the Treaty on the Prohibition of Nuclear Weapons, the International Covenant on Economic, Social and Cultural Rights (ICESCR) asserts a human right to health, applicable to nuclear contamination. But in practice that right isn’t respected. For example, Japan ratified the covenant, and the Japanese constitution even defends the trans-generational principle of human rights in articles 11 and 97. But despite those legal principles being articulated, the Japanese media is still prevented from reporting on current events in Fukushima, and medical research on the effects of the meltdown is still restricted. The Japanese government maintains that small amounts of radiation are harmless, so limits for public radiation exposure could be increased from 1 to 20 millisieverts per year, the same as for radiation workers. That’s unconscionable and untenable, not to mention discriminatory against young women and children who are much more susceptible to radiation exposure than men, with higher risks of cancer and non-cancerous diseases. Radiation exposure may present mutations and diseases in their offspring decades later. That’s why Japan’s handling of the Fukushima fails to accord with its own constitution as well as the ICESCR. Failing to combat climate change effectively is also a crime against the future. The chances of meeting the Paris goal of limiting global warming to 2°C are receding since the U.S. withdrew and financial contributions of many signatories remain out of scale with the problem. Greenhouse gas emissions have risen in the two years since the Paris accord. If we stay on this too-little, too-late trajectory, we’ll not only fail to protect human rights, but much of life on earth. Can all this be considered legal? Not for long. The dawn of the nuclear age marked the acquisition of unprecedented human power over the earth and all forms of life, as the Caen symposium pointed out. Many legal experts believe that in this new anthropocene era, a new code of medical and legal ethics is necessary. Trans-generational impacts of nuclear war, nuclear catastrophes and climate change must now be seriously considered, and require a paradigm shift in our legal thinking about the future. The District Court of Hague took a step in that direction in 2015 when it affirmed in Urgenda Foundation v. the Dutch State that the government had a responsibility to protect future generations by limiting greenhouse gas emissions. A similar case in the United States — People v Climate Change — was granted jurisdiction and is proceeding to consideration of its merits. There remains a long way to go to adapt the current legal framework to the realities of nuclear threats and climate change. Current laws need better implementation, and new laws need to be established. But those changes are vital to protecting the human rights of future generations. Emilie Gaillard is an Assoc. Professor of law and a researcher at the University of Caen Normandy (France). She is a member of the Pôle Risques, Qualité et Environnement Durable at Maison de la recherché et des Sciences de l’Homme (Caen). 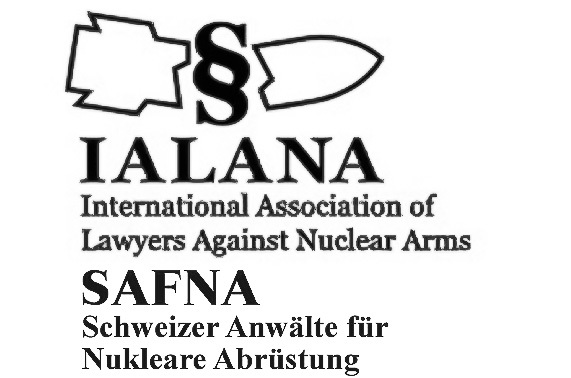 Alyn Ware is a member of the World Future Council and consultant for the International Association of Lawyers Against Nuclear Arms.